The event presented four ag challenges for students to hack innovative solutions. AGCO Corporation (NYSE:AGCO), a world-leading manufacturer and distributor of agricultural equipment solutions, hosted its first hackathon February 2-3 at the AGCO Acceleration Center at the University of Illinois at Urbana-Champaign. The hackathon highlighted some of the prominent issues in the agriculture industry such as connectivity and real-time data analysis, while creating innovative technology solutions for the four challenges AGCO presented to the students. The ag challenges, created by the core teams from AGCO companies GSI and Precision Planting®, and AGCO divisions Fuse® and Research and Advanced Engineering, were tackled by 60 students split into 14 teams. "We are thrilled with the outcome of our first hackathon and the talent the participants showed in solving ag challenges. Our customers need solutions that make their farm operations more innovative, efficient, and productive, and we are committed to finding those,” said Matt Wong, director, Fuse Product Strategy, North America. Challenge #1: The Fuse smart farming challenge focused on making farm operations more efficient by leveraging gamification to improve understanding and usage of machine data. Winners Hanna Parker, Sara Legg, Devashri Nagarkar, and Salina Ortega created the game Fantasy Farming to make harvest time fun. Similar to fantasy football, gamers earn points, compete with friends and can share their harvest yield – combining fun with ag education. Challenge #2: The Research and Advanced Engineering team’s challenge focused on producing an image processing algorithm that creates a tillable field map with automatic object classification. Winners Abhinav Tekulapally, Jinsso Oh, Rishi Masand, and Nirmal Prakash engineered a web app that automatically plots tillable land, using Google Maps™ or an image, along with weather and soil conditions information. Challenge #3: In line with Precision Planting’s ethos of smart farming, the third challenge tasked teams to create a smart marketplace for dealers. Winners Jonathan Xu, Jonathan Phipps, and Siobhan Fox created The Harvest, an app for in-network AGCO dealers to interact with other dealers. Other features unique to The Harvest, and missing from current online ag marketplaces, include an artificial intelligence (AI)-driven profile matching tool between buyer and seller, a forum to educate new farmers, AI-based bots to answer questions, and, similar to a dating app, a swipe-right feature to express interest. Challenge #4: GSI asked participants to identify a challenge they see in ag and devise a solution for it. Winners Sahaj Putcha, Arjun Tripathy, Shreerith Seshadri, and Sankalp Yamsani looked at challenges farmers face when selling their harvested products. They created a marketplace to connect farmers directly with buyers, using qualifiers such as quantity, price, and a short description, to match the two parties. Utilizing speed and removing a layer of inefficiency, farmers will be able to sell their product faster and at a better price. "I've done a lot of hackathons, but this was the first agriculturally focused one I've done. The challenges were really interesting and it was cool that they had real farmers on site who could give us their perspective," said Hanna Parker, Computer Science student at the University of Illinois at Urbana-Champaign. The panel of industry professionals who judged the hackathon were Brandon Dohman, head, Digital Innovation Lab, Syngenta® North America; Lena Head, site director of the AGCO Acceleration Center; and Lance Brown, director of Global Learning and Development, AGCO Grain and Protein. “The combination of diverse student groups from seven different majors across campus, collaborating with AGCO employees and local farmers, ultimately led them to create more meaningful solutions – but more importantly it yielded a unique cross-functional learning opportunity for all parties involved,” said Ms. Head. With the successful implementation of the hackathon, AGCO will host more internal and external hackathons to bring together great minds to imagine new smart farming tools that will benefit the customer’s farm operation. AGCO is following up with some of the participants in evaluating the possibility to utilize their ideas, algorithms, and programming codes to solve key issues in the ag industry. To learn more about AGCO’s hackathon and all the submissions, visit https://agco-accelerator-hack.com/index.html. 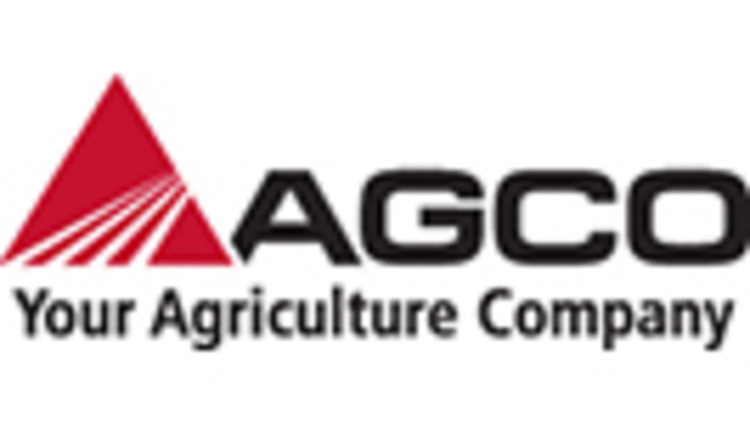 To learn more about the AGCO Acceleration facility, visit https://www.agcoaccelerationcenter.com. To learn more about Fuse, visit http://www.AGCOcorp.com/Fuse. To learn more about Precision Planting, visit https://www.precisionplanting.com/. To learn more about GSI, visit http://www.grainsystems.com/.